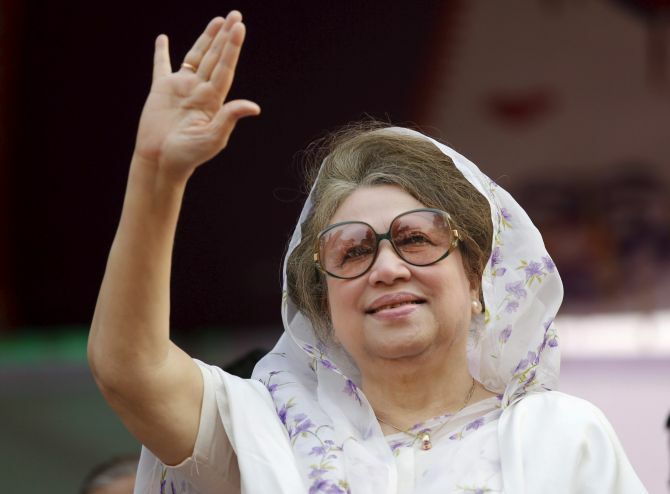 In a major setback to Bangladesh's ailing former prime minister Khaleda Zia, a court on Monday sentenced her to seven years in prison in a second corruption case for embezzling millions from a charitable trust in her late husband's name. Zia, 73, who is already serving a jail term since February after being convicted in another case related embezzlement of funds of an orphanage named after her husband president Ziaur Rahman in February, was sentenced along with three others. According to the case, Zia and three others abused their power and collected $375,000 for the trust from unknown sources. Judge Mohammad Akhtaruzzaman announced the verdict from the temporary premises of the court at the old central prison at Dhaka's Nazimuddin Road.